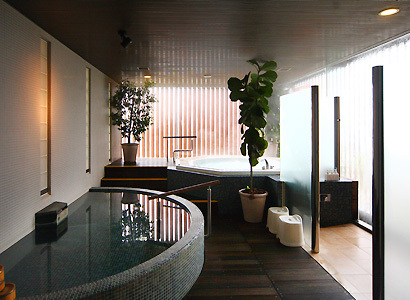 This is a bath hall exclusively for the guests of Spa the Ceada. Treatment effect is multiplied with various equipments including a special Jacuzzi with metabolizing effect, abundant stream of hot spring and a mist sauna that has a relaxation and skin moisturizing effect. Suginoi Palace is the only place where you can indulge yourself with high quality spas while enjoying a fantastic view of Beppu Bay and night views.